Today we have been treated to some leaked promo art for Solo: A Star Wars Story, which provides our first look at some of the main characters. 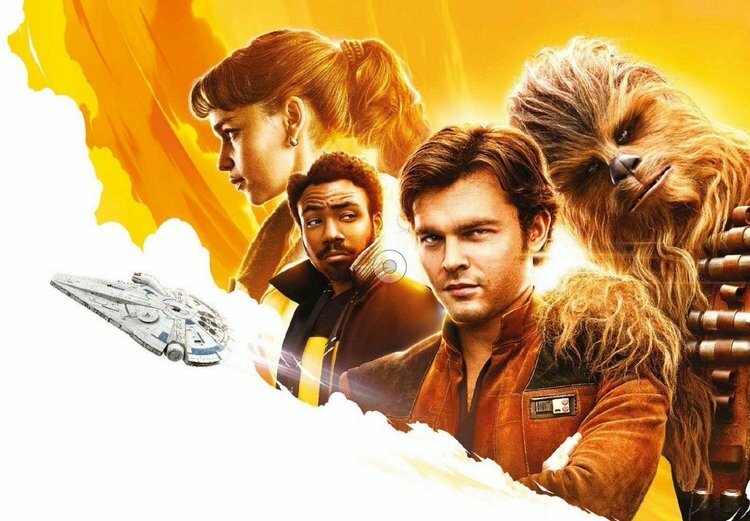 It features Alden Ehrenreich as Han Solo, Donald Glover as Lando Calrissian, Chewbacca, and actress Emilia Clarke in an unnamed role. It also provides the first look at the new version of the Millennium Falcon, which is supposed to be brand new and sporting blue detailing. 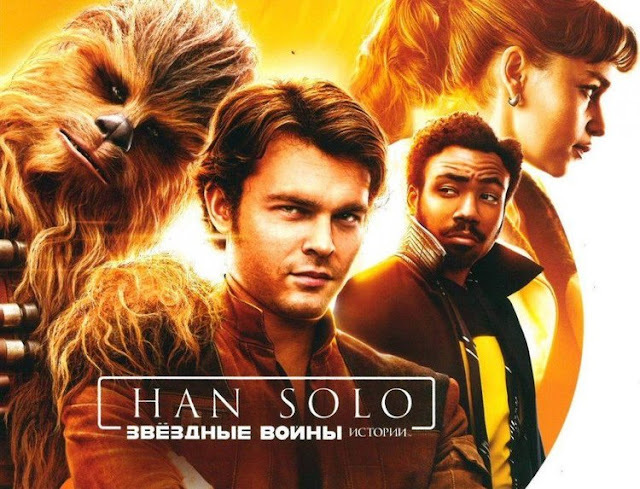 edit: Lucasfilm and Disney have stated that this is not original artwork but is fake fan art and is not licensed Star Wars promotional art.